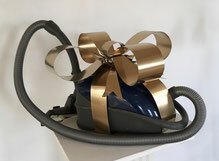 The Obsessive-compulsive Disorder gifts series is one facet of "Pandemonium of Versatile Objects". 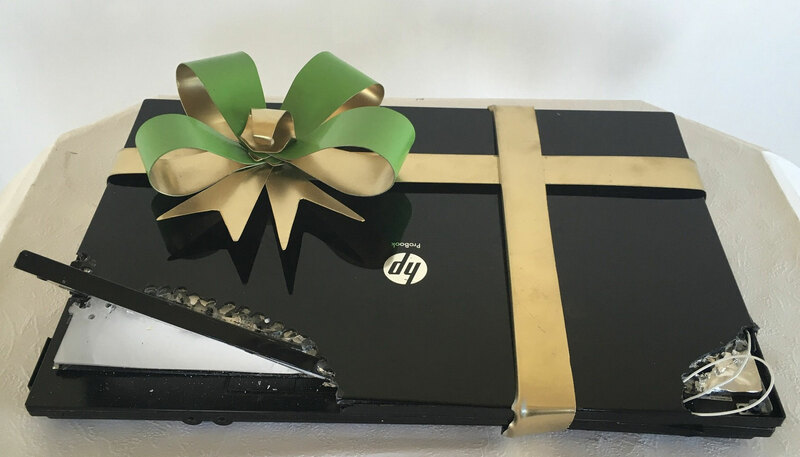 With this series the artist toys with the idea that it is easier to offer gifts that flatter the O.C.D. tendency rather than anything else and so he shapes moments of everyday life which in modern society illustrate and encourage this tendency towards compulsion in many ways. Laurent La Gamba’s most recent project is a series of sculptures/installations. 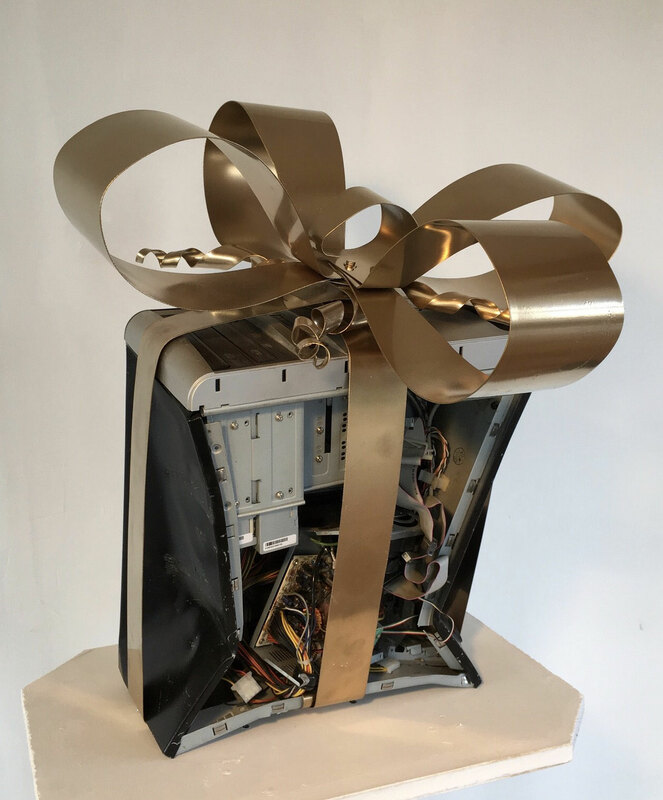 Entitled Pandemonium of Versatile Objects this project explores mass production and consumerism and the role they play in formulating memories and identity, through the visual coding of celebratory gift bows. The Pandemonium of Versatile Objects series began in 2016 and is divided into several chapters. It plays on the precariousness, the obsolescence of objects and their possible regeneration through art. Producing a highly aestheticized and tuned down vision made of glossy paper and shiny ribbons, which often evoke both childhood and pleasure but also mass production and consumer society at large; this project also, depending on the works, conveys a deep feeling of embarrassment and discomfort (e.g "Anti-gifts series" or "Mourning bows series").